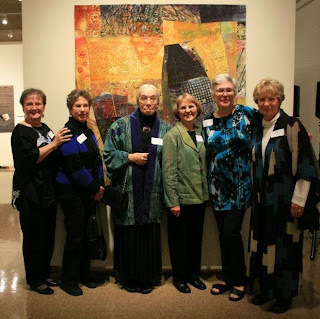 We attended the opening reception of the Quilts=Art=Quilts exhibit at the Schweinfurth Memorial Art Center in Auburn, NY. The awards were announced, and we were pleased to find out that Pat Pauly won First Prize for the second year in a row. And coincidentally, this award is sponsored by our guild, the Genesee Valley Quilt Club. Priscilla and I had a chance to chat with Elin Noble, who was one of the jurors for the exhibit. This is my "Whirlpool" quilt as it hangs in the exhibit, where it has the end wall all to itself in one of the side galleries. 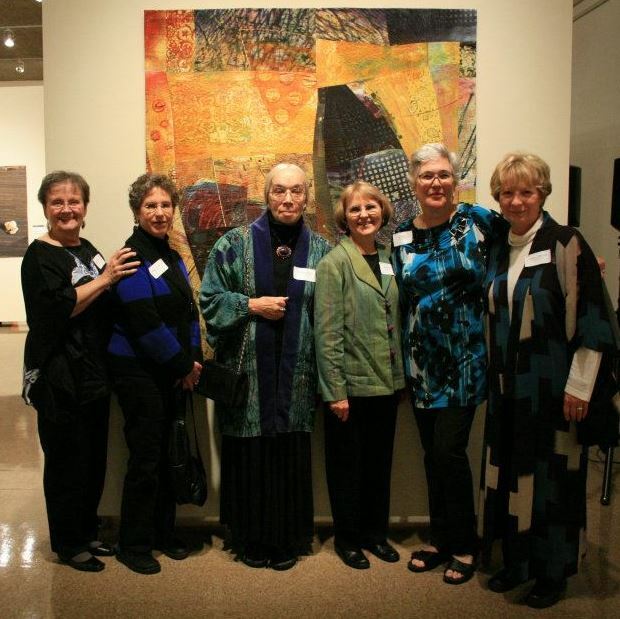 (from the left) Nancy Hicks, Marcia Eygabroat, Priscilla Kibbee, Caris Burton, Pat Pauly, and me.